Montana's only B & B and Wolf Sanctuary, Howlers Inn is an impressive log and stone home centered on 42 acres in beautiful Bridger Canyon. This is the Montana Experience you are looking for! The main house has three spacious bedrooms (king/queen beds), private full baths, and mountain views. All rooms have TVs with DVR player, refrigerators and microwaves. A 2-bedroom guest house with living room, fireplace and kitchen is also available. Enjoy a hearty breakfast in the dining area while watching the wolves play. Our many amenities include sauna, hot tub (during ski season), pool table, workout area and big screen TV. Relax on the deck after a day of enjoying all the area has to offer, or choose a movie from our extensive video library. 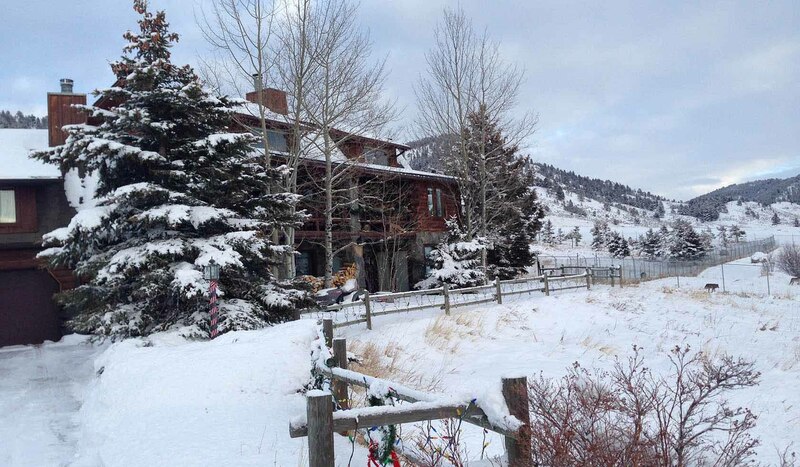 We are just 10 minutes from popular Bridger Bowl Ski Area and cross country ski trails. Quaint downtown Bozeman is 15 minutes away. Yellowstone National Park, historical ghost towns, Lewis and Clark Caverns and Big Sky Ski Area are popular nearby attractions. For reservations, call 587-5229 or 888-HOWLERS.